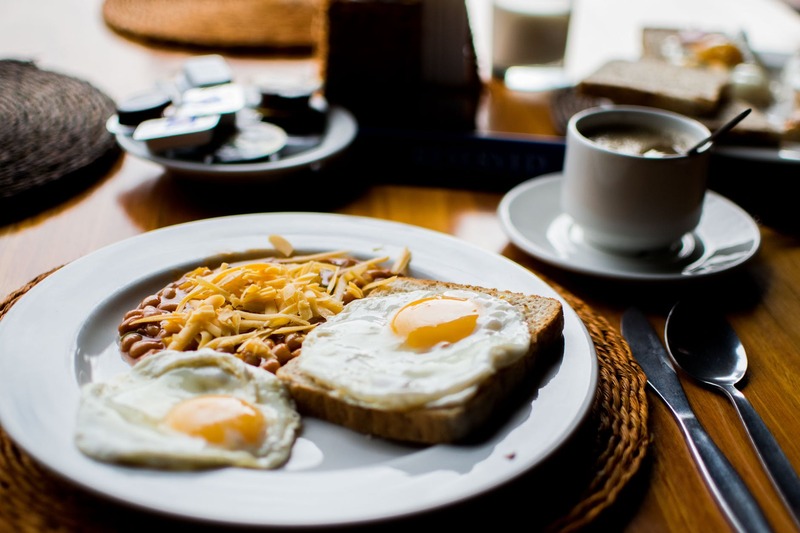 You love eating eggs for breakfast, but you hardly have time to eat them anymore due to your insane workday mornings. Who has time to scramble eggs on the stove, then wash the pot, then eat, and still fight rush-hour traffic to get to work on time? Fortunately, your skillet is not the only way to scramble eggs for breakfast. Here’s a look at how to create your own scrambled eggs in the microwave, according to leading California egg company Norco Ranch (and don’t worry — the eggs won’t be gross or rubbery if you cook them correctly). 1) Spray a 12-ounce coffee mug with some cooking spray, or apply butter to the mug to keep your eggs from sticking. Then, add your milk and eggs to the mug, and stir the mixture with a whisk or fork until it is well blended. 2) Microwave the mixture for 45 seconds on high, then stir. Next, microwave the mix once again for between 30 and 45 minutes until your eggs have cooked all of the way through. 3) Sprinkle your eggs with cheese, and apply pepper and salt to your liking. After just one minute of cooking, you are ready to eat your single serving of eggs — right in time to hit the road for another morning commute. Cheese on your scrambled eggs is optional, of course. But if you like cheese, adding them to your microwaved scrambled eggs is the perfect way to add some pizzazz to your breakfast. Some cheddar cheese, parmesan cheese, or even fresh goat cheese crumbles would all make for happy additions. To take your breakfast to the next level, feel free to top your freshly cooked eggs with tomatoes or chopped herbs. Alternatively, you can build a round patty out of your scrambled egg mixture and put it on an English muffin along with avocado for a scrumptious breakfast sandwich. Perhaps you’re the type who simply loves to add ketchup to your eggs — that works, too. Because creating scrambled eggs in the microwave is so fast and easy, you have lots of time to allow your creative juices to flow as far as egg toppings go. Enjoy! It’s summer time, and you know what that means: The kids are out of school. So, what’s for lunch? If your kids love pizza, why not try a different version of a pizza — a healthier one that is just as scrumptious? 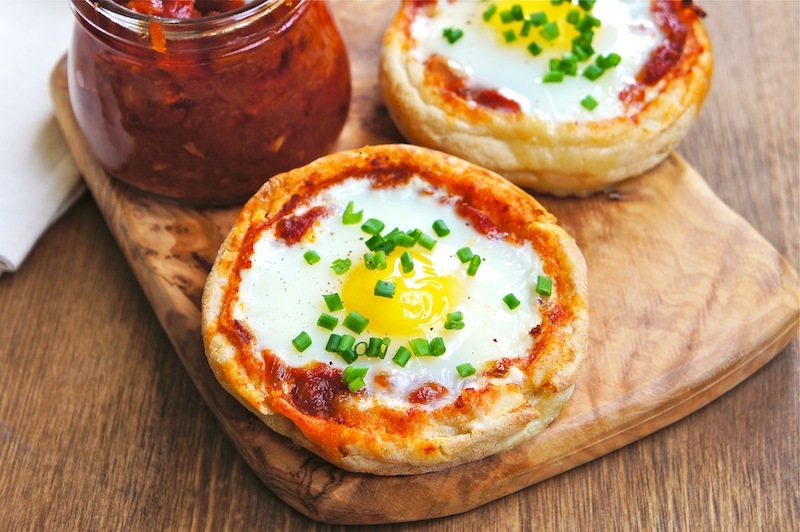 Here’s a glimpse at how to create your own English-muffin Egg Pizzas to get through lunchtime during these summer months, according to Norco Ranch. 1) Boil your two eggs. You can boil them on the stovetop or even use a steamer basket to cook them gently. 2) Toast eight halves of an English muffin, and place the toasted pieces on a cookie sheet. 3) Drizzle each English muffin piece with some olive oil. Next, place tomato slices on the muffin halves, and top them with the hard-cooked slices of egg (half an egg each). 4) Spring some grated mozzarella cheese on the mini pizzas. Then, sprinkle the little pizzas with kosher salt and oregano. 5) Finally, broil your English-muffin Egg Pizzas for five minutes or at least until the cheese begins to melt. One of the biggest reasons to love English-muffin Egg Pizzas as a parent? These mini pizzas are protein rich. In other words, they’ll keep your children fuller longer (what parent doesn’t want that?) On top of that, the dish is meat free, which makes it an excellent choice for vegan families or those interested in eating leaner. An added bonus is that the dish is ready in under 10 minutes. You can’t beat that. You can easily prepare them during even the busiest of summer days — there’s no need to make a run to a fast-food restaurant for unhealthier food alternatives. If your family loves boiled eggs and you find yourself cooking them often, then this pizza recipe is especially fitting for you. The recipe allows you to easily and more creatively use up your leftover boiled eggs for the next day’s lunch. Plan a day to have your kids help learn to cook this dish. Cooking time is bonding time. When you cook together, kids feel like they are part of something bigger than themselves. They feel responsible, because you are trusting them with an important family task..
What’s not to love about these cheese melts? The protein your children will gain from this meal will enable them to play harder and longer — something every kid lives for. Also, as a general rule of thumb, cheese simply makes everything better — and these English-muffin Egg Pizzas are no exception. You couldn’t imagine life without eggs, but the question that many consumers have asked over the years is, “Will eggs end up shortening my life?” Research on the connection between eggs and heart disease — particularly in those who are at risk for or battle type 2 diabetes — has not been consistent, thus leading to relatively murky recommendations. 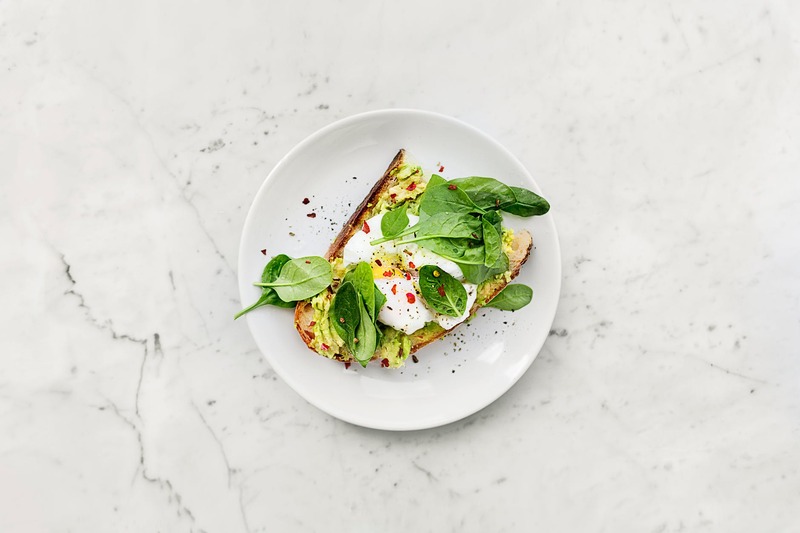 However, recent research shows that eggs can indeed be a component of a healthy diet for those dealing with type 2 diabetes, according to premier egg company Norco Ranch. 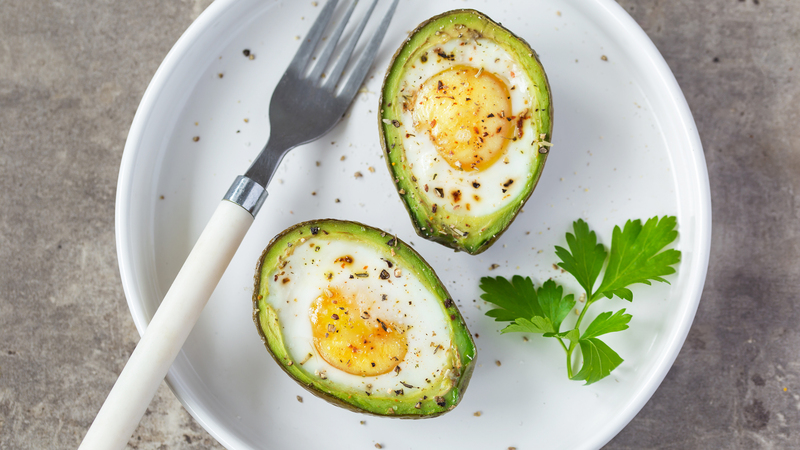 A 2015 analysis indicated that people who have diabetes may benefit from paying close attention to their egg consumption and cholesterol intake — at least until additional research offered more clarity. 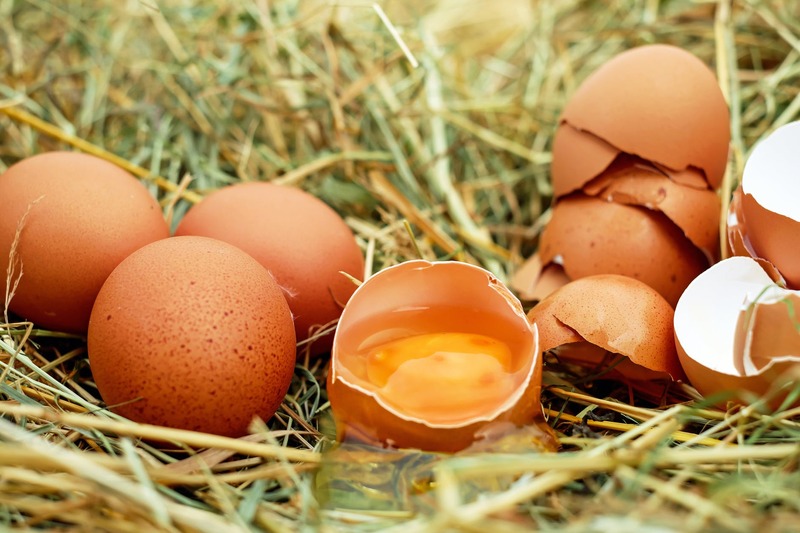 After all, eggs in the past received a bad rap because experts felt they contained too much cholesterol. A great deal has changed since that time. Another 2015 study yielded a completely different finding from the abovementioned 2015 analysis. Researchers in the second 2015 study found that even if you eat more eggs than recommended, eggs can be healthy food items for anybody and everybody. That includes members of the general population along with those who have type 2 diabetes or cardiovascular disease. Researchers in 2017 supported the second 2015 study’s findings. 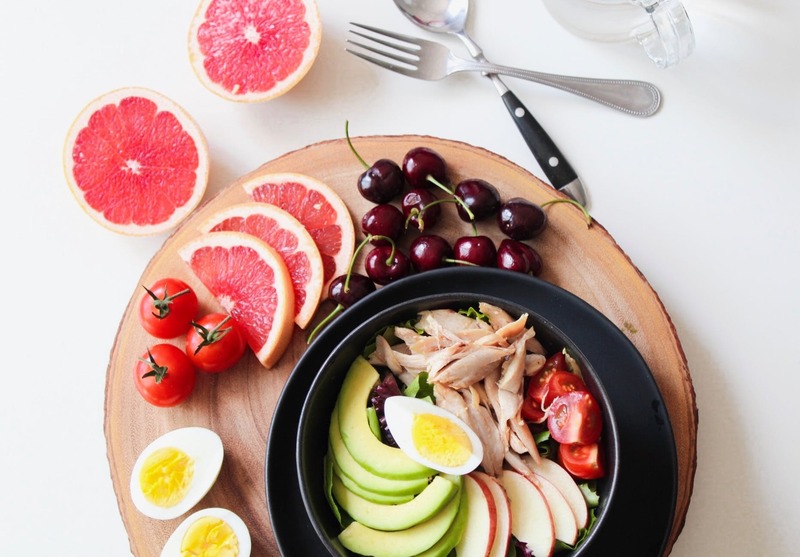 A review of six studies revealed that eating as many as six to 12 eggs per week did not increase blood-sugar measures, low-density lipoprotein cholesterol (bad cholesterol), or triglycerides in individuals at risk for or battling diabetes. This may not be surprising given the fact that scientists are starting to realize that dietary cholesterol plays a much smaller role in an individual’s total blood cholesterol count than previously believed. According to experts today, family history might have a much larger bearing on a person’s cholesterol levels than food does. 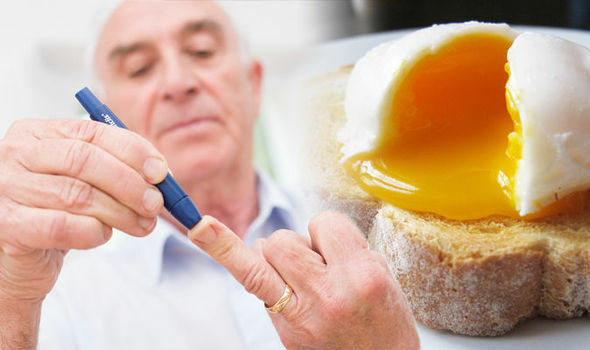 So, the good news is that you don’t necessarily have to stop eating eggs if you have type 2 diabetes. If it makes you feel more comfortable, simply eat about three eggs a week or stick to egg whites for an ultra-healthy and satisfying diet. Also, be careful about the food items you choose to eat with those eggs, as a single harmless egg may be made unhealthy if fried in unhealthy cooking oil or butter. 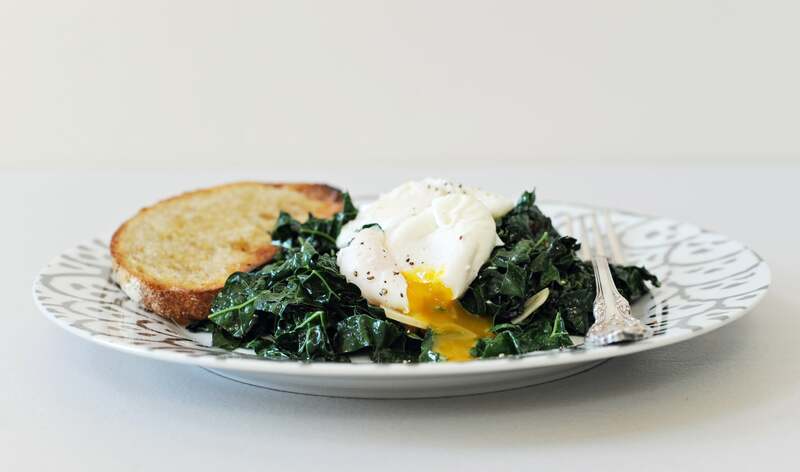 Poaching eggs is an easy, fast, and healthy way to eat your Norco Ranch eggs. 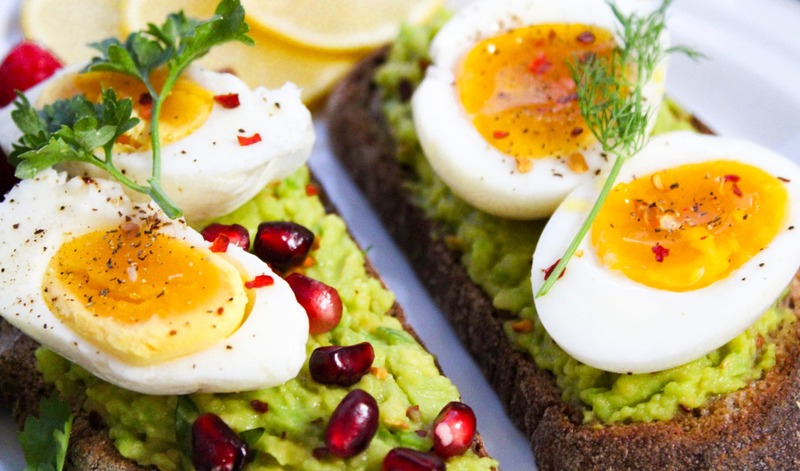 All in all, eggs are a smart choice for giving you the energy and nutrients you need while tantalizing your taste buds at the start of your day. Nothing says “Buenos Dias” like a perfect helping of eggs Latin American style. 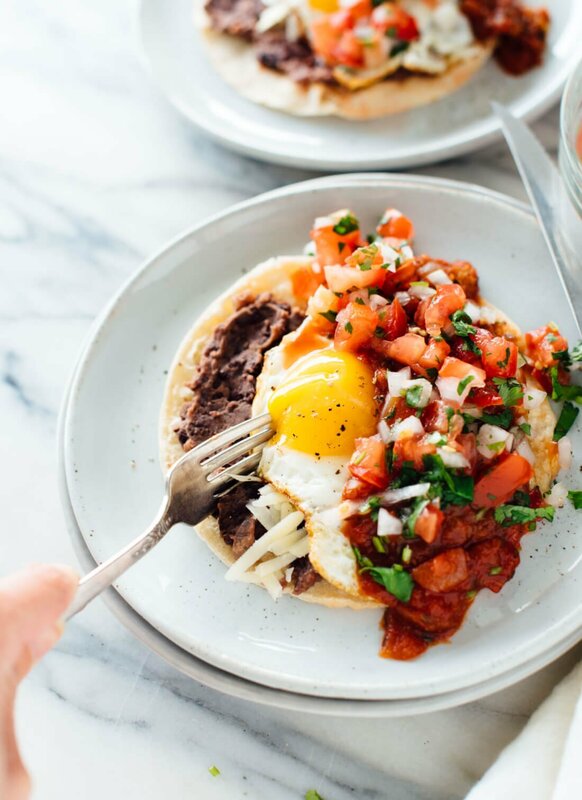 If you love eggs and you love Latin American food, you can’t go wrong with a region-inspired breakfast dish this weekend: Huevos Rancheros. Here’s a rundown on how to get your weekend started off right by making this flavorful dish using high-quality Norco Ranch eggs. 3) Pour the green chiles and tomatoes into the skillet and cook them as well. Stir occasionally for about 10 minutes. 4) Add salt and chili powder to the dish, stirring frequently. After five minutes, remove the dish from the heat and set it aside. 5) Now, use spray to coat a bigger nonstick skillet, and heat it over medium heat. 6) Place the eggs into the larger skillet one at a time. Make sure that the eggs whites do not touch. Allow the eggs to cook for three minutes while covered. Then, take off the lid and keep cooking eggs until their yolks reach the consistency you desire. Finally, remove this skillet from the heat. 7) Apply the onion mixture to the top of each tortilla, and top this mixture with egg. Then, place the cheese and red onion on the tortilla. At last, garnish your dish with cilantro if desired. 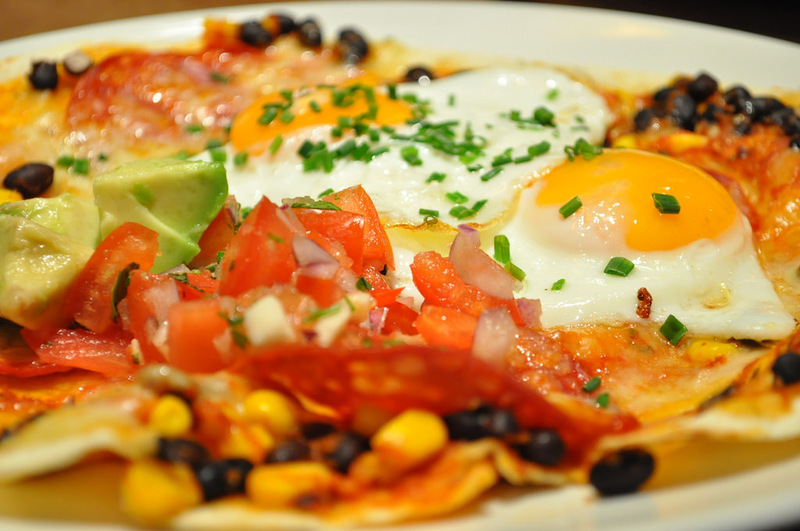 Huevos Rancheros are the perfect way to fill up with plenty of proteins and nutrients ahead of a busy day (a large egg contains six grams of protein). The best part? The dish is low in calories (each egg contains just 71 calories), according to Norco Ranch. In just 35 minutes, you can have four servings of this delectable and satisfying breakfast dish — plenty for the entire family to enjoy. Egg lovers can be separated into two categories. One egg-loving camp includes those who prefer egg whites over yolks, whereas the other camp features yolk lovers. If you’re in the latter camp, you may have heard time and time again that eating egg yolks is bad for your heart. Think again. 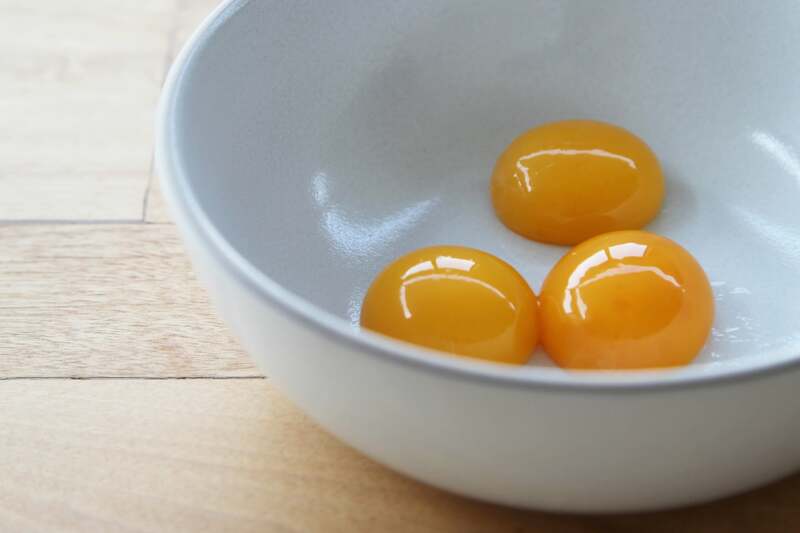 Here’s the truth about egg yolks and heart health, according to top-notch Southern California egg provider Norco Ranch. Egg yolk remains one of the best sources of an essential nutrient called choline, which is believed to enhance your brain’s health. However, researchers over the years have learned that this vitamin-like nutrient interacts with the microbes in your intestines to form what’s called trimethylamine N-oxide, or TMAO. TMAO is a compound linked to increased stroke and heart disease risk. In a 2014 study, researchers learned that eating two-plus egg yolks each day resulted in TMAO formation. However, the opposite finding was generated in a 2017 research study where scientists discovered the levels of TMAO in the blood didn’t rise in individuals who ate as many as three eggs per day over a four-week period. In light of the most recent study findings, it’s safe to say that TMAO and choline are no reason to avoid eggs altogether. After all, eggs, including Norco Ranch eggs, offer a number of beneficial compounds. Plus, choline is actually present in many foods that are healthy for your heart, such as broccoli, beans, sardines, and salmon. The bottom line is this: Eggs overall are very good for you. 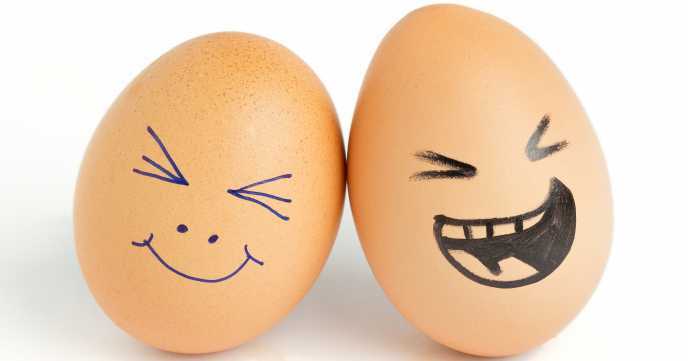 People can generally eat an egg a day — basically seven eggs a week — or even more with no ill effects. In fact, eggs provide many benefits, such as being a wonderful source of potassium — a chemical element that supports muscle and nerve health. Potassium also helps to balance your body’s sodium levels, thus improving your cardiovascular health. Eggs also contain lutein, which safeguards you against disease, and it features biotin — an important vitamin for insulin production as well as healthy nails, skin, and hair. The key, however, is not to mess up these healthy foods by using lots of salty and fatty ingredients to prepare them. In the same way, take care not to pair your eggs with side dishes that are not good for your heart — otherwise, you’ll cancel out the benefits of the eggs. When eaten the right way, eggs will no doubt do your body some good. Summer is around the corner, and you know what that means — it’s almost cookout season. And if you’re like many Americans, you can’t do a cookout with some deviled eggs as a side item. Fortunately, deviled eggs don’t have to live up to their name in the health category — they actually can be healthy. 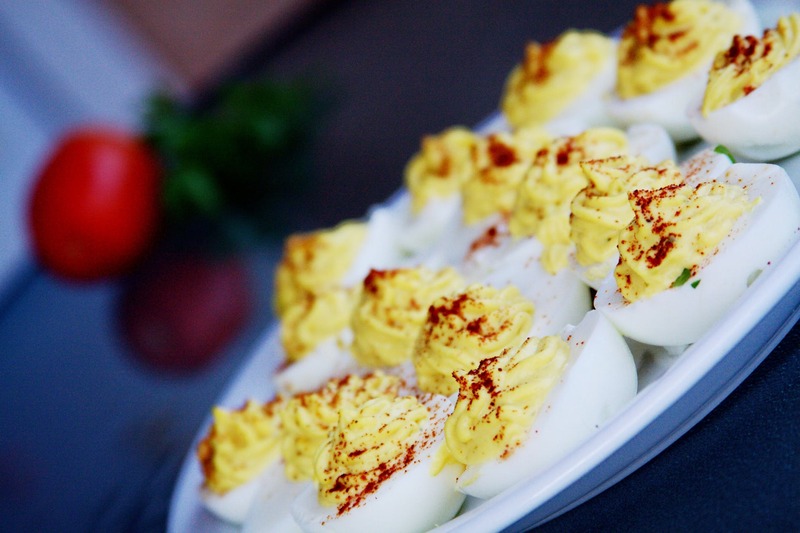 Here’s how to make some heavenly deviled eggs using delicious Norco Ranch eggs. 2) Cover your eggs and allow them to boil. Once they begin to boil, switch off the heat. Then, just allow them to sit for 12 minutes, keeping the cover on them. Afterward, rinse your newly boiled eggs with cold water, and allow them to cool down. You could also place your eggs in a cold ice bath to get them cooler faster. 3) After your eggs have cooled down sufficiently, peel them completely. Then, cut the eggs lengthwise. 4) Separate your egg whites and yolks. Then, use a plate to hold your egg whites, and a bowl to hold your egg yolks. Finally, add the rest of the ingredients — outside of the paprika — to your yolks, and mash them together. You can utilize a blender for a smoother mixture. 5) Once the mixture is relatively uniform, add your mixture into your empty egg whites. Finally, top the mix with paprika. Bon appétit! Eggs are naturally healthy, as they are packed with vitamins, such as vitamins B, A, and K. So, healthy deviled eggs are just another way to enjoy your favorite nutritious food items, according to Norco Ranch, a premier provider of eggs in Southern California. The healthy version essentially leaves out the ingredients that make the classic deviled egg’s filling loaded with calories and fat. By incorporating nutritious alternatives into your deviled egg filling from now on — such as those mentioned above — you’ll have the perfect finger food for this year’s barbecues and parties.